With the increasing popularity of the iPhones, iPods and other apple products around the world, the popularity of iTunes are also increasing. However, the reality is that iTunes had limited availability for a few handfuls of countries only. Because of the versatile collection of the iTunes and limited availability of them depending on the regions, many people want to get ways so that they can get the varieties of iTunes from different country’s iStores. And of all the countries, the iStore in the United States are the richest in terms of contents. 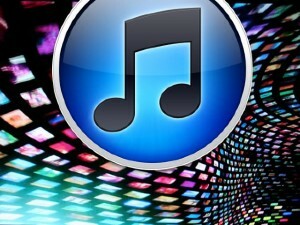 Therefore, people mainly want to get into the US iStore to access US iTunes. However, since the iStores are technologically advanced and they can track down your IP address, you cannot get through the geo filtering that is in work in the iStore websites. This is why; people are always looking forward to find ways to get into the US iTunes collection database. So the only solution that seems to be the right one for the users and that can guarantee seamless service is the VPN services. A VPN service is basically a server-client based service where the server takes over the client and hides the client’ identity in order to include the client as a part of its private network. Thereby, anyone else will actually read the client message as being originated from the server only. So if you get connected to a US based VPN server, in that case your request will be identifies as if generated from the US server. And this how the US iTunes store will not recognize you as an outsider and will give you the full access to the website just like any other US citizens. Along with hiding your identity, this VPN services also ensures that your privacy and security is also protected. However, you can only register and get all the free items in the iTunes store. To be able to get the paid contents, you definitely need to have a valid US billing address or a debit/credit card that has been issued in the United States. So unless you are sure that you can provide this information do not go for that. However, if you are actually a citizen of the States and have all the required valid information, you can register for everything even if you are accessing internet from a foreign land and you simply need a VPN service for that. To be able to select the best service for your need you can compare the listed services and analyze based on their offers and features. You can also look at their price rates.